Chicago Botanic Garden’s Windy City Harvest program started its first 1-acre youth farm in 2003 at the Greenbelt Forest Preserve in suburban Chicago’s Lake County — and immediately saw, firsthand, the magic that can happen when teens connect with plants. Over the next 14 years, the Youth Farm Program expanded to include three additional sites, located in some of Chicago’s most challenged neighborhoods. The farms act as vehicles for youth development and serve 120 high schoolers each year. Each year, Windy City Harvest grows around 100,000 pounds of produce on a total of eight acres of land, most of which are within Chicago’s city limits. While this is an amazing feat in and of itself, the more profound achievements are the ways, tangible and intangible, that they are changing lives and communities through their training programs. 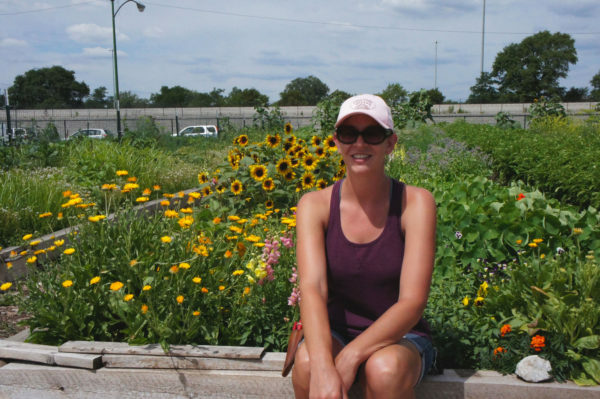 Larsen will share her experiences and expertise in growing Good Food and Good Food jobs in urban communities tomorrow (Thursday, March 16) as a panelist at FamilyFarmed’s Good Food Financing & Innovation Conference at Chicago’s UIC Forum. She will be joined on the panel, titled Producing Good Food Close to Home, by Danny Murphy, vice president for sales at MightyVine tomatoes; Viraj Puri, CEO of Gotham Greens; Chris Wheat, chief sustainability officer for the City of Chicago; and Jamie Ponce, director of innovation for the Environmental Law & Policy Center (and a FamilyFarmed Board member). 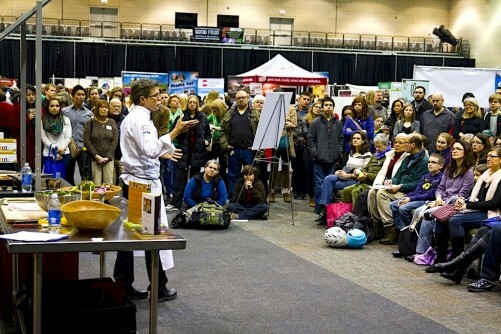 To learn more about the Financing & Innovation Conference and the rest of FamilyFarmed’s three-day Good Food Festival & Conference, please visit the event website. The Youth Farm, as Windy City Harvest’s premier program, is an excellent entry point for young adults to explore farming — and learn life skills along the way. Vulnerable youths from low-income communities come together through this paid program. They learn to grow and eat good food, work as a team, advocate for food justice, and become accountable—to themselves, their fellow farmers and to their employers. 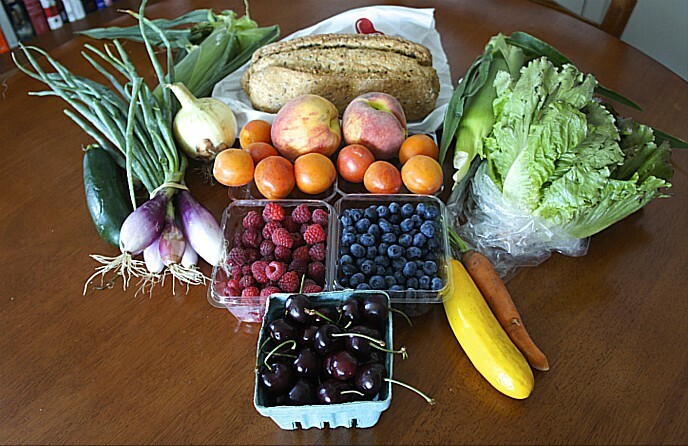 Part of the program involves working a farmers market and selling directly to the communities where the farms are located, most of which are classified as “food deserts,” at below-market rates. They also partner with health clinics to offer prescription food boxes to residents with diet-related diseases (see end note). In each case, the teens have opportunities to establish relationships with their customers, which in turn strengthens the community as a whole. The program is composed of two separate 14-week sessions, from March to June and from June to September, with 15 participants in each session. Participants work closely with staff, mentors and partner organizations throughout the program to find full-time, long-term employment after the program is completed. Since 2010, Windy City Harvest has successfully placed more than 70 Corps participants into employment opportunities in related fields, and more than 18 graduates into its Apprenticeship Program. Out of all Windy City Harvest’s programs, the Apprenticeship provides the most intensive real-life experience toward the goal of professional certification. 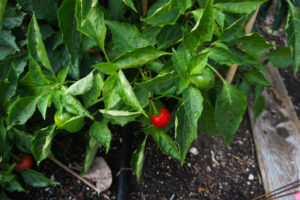 They enroll 20 students each year in a nine-month certificate course in sustainable urban agriculture, in collaboration with the Arturo Velazquez Institute satellite campus of City Colleges of Chicago’s Richard J. Daley College. “It’s pretty cool because we reserve one-third of the slots for graduates of Youth Farm and Corps, so there’s that intentional pathway into advanced training. Then another third of the class is using financial aid… and all of the students are coming from a diversity of background and community areas throughout the city,” Larsen explained. After four months of initial farm training, with a heavy focus on annual vegetable crop production, the apprentices are placed in a 14-week paid internship with Windy City Harvest farms or partnering urban-farming operations. “During that time, they’re really establishing relationships with employers, and at the same time it offers employers the opportunity to grow positions,”said Larsen. This is likely part of the reason why they have an extremely high job placement rate after the program, with 95 percent of the students going on to work in the field, most often through the connections made during the internship. The final major tool in the Windy City Harvest arsenal is its Entrepreneurship & Careers program, through which it provides industry-specific certificates based on feedback from graduates of their other programs. These courses include Aquaponics, Season Extension, Edible Landscaping, and Local Foods Entrepreneurship. Currently, Windy City Harvest also is developing a Value-Added Products course and a Composting course to add to the options. Their Incubator farm, which receives funding from the USDA Beginning Farmers and Ranchers Development Program, is one of the most successful and necessary programs to come out of the Entrepreneurship & Careers track. Windy City Harvest leases ⅛-acre plots to select graduates of the Apprenticeship program for two years. During this period, the farmers are given access to mentoring support and technical assistance, shared tools and equipment, and shared access to markets. 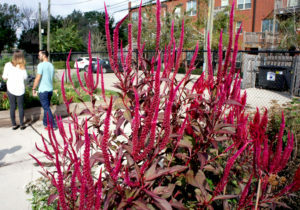 Larsen sees this as “a great way to create a pathway for development for people who have invested that time in our apprenticeship program,” as well as a low-risk opportunity to experiment with urban farming. Windy City Harvest is excited to announce that this year, for the first time, it will do a trial of an Advanced Incubator Program with two graduates of the Apprenticeship program and Incubator Farm. 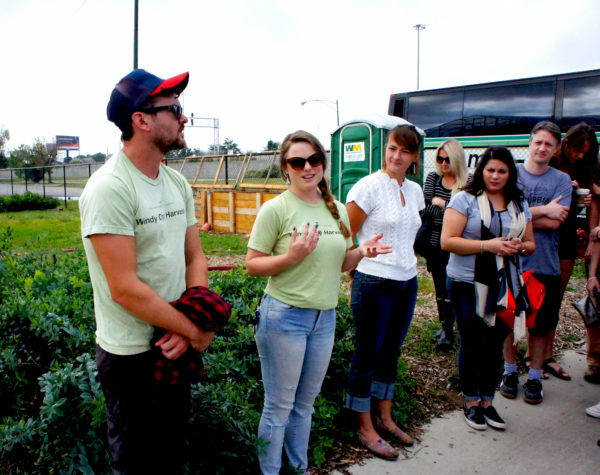 Jen Rosenthal, founder of Planted Chicago, and Dana McMullin, founder of Anarchy Organic, will return to the Windy City Legends Farm — located on the site of a former troubled housing project on Chicago’s South Side — to grow their businesses and benefit from the shared space. As Larsen sees it, “Chicago is a great platform, because if you look at it, all of our farms are primarily on the South and West sides, and there are just huge tracts of land and open space ripe for farming,” a result of long-term disinvestment in lower-income communities. 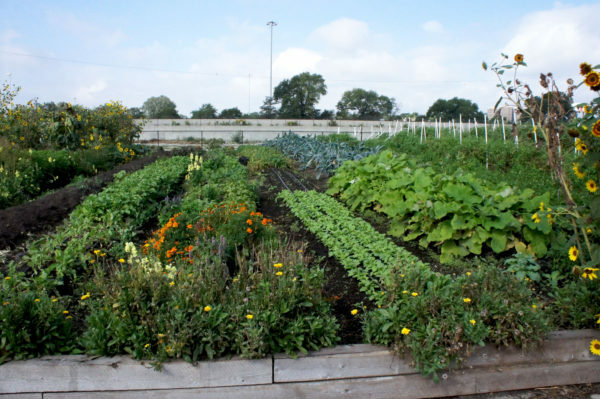 Viewed this way, it becomes clear why urban farming is a perfect solution to both feed and strengthen economically distressed urban neighborhoods. Additionally, having the City of Chicago on board goes a long way. 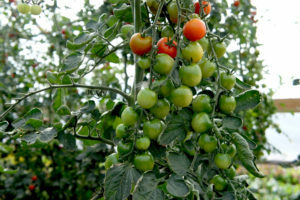 Amendments to the zoning code, which allow for more widespread urban growing, have benefitted the Windy City Harvest incubator participants and other beginning farmers as they seek out land that is zoned properly for agriculture. As urban farming expands, so too will the amount of food produced locally and sustainably for our communities — helping achieve FamilyFarmed’s mission to put Good Food on Every Table. As noted above, the urgency of fighting disease by providing better access to healthy food and persuading individuals to eat healthier diets is gaining traction in the U.S. medical community. This will be the subject of a panel titled Good Food is Good Medicine, to be held Saturday (March 18) at FamilyFarmed’s Good Food Festival. To learn more, and to pre-register to attend the FREE Good Food Festival, please click here. This entry was posted in Direct Farm Marketing, Family Farms, Farm businesses, Farmer training, Food access, Food and community, Food and health, Food Entrepreneurs, Good Food business development, Good Food Festivals, Growing Young Farmers, Local Food, Small Farmers, Urban farming, Young farmers and tagged Anarchy Organics, Arturo Velazquez Institute, Chicago Botanic Garden, Chicago chief sustainability officer, Chicago Treasurer Kurt Summers, City Colleges of Chicago, Environmental Law & Policy Center, FamilyFarmed, Good Food Festival & Conference, Good Food Financing &Innovation Conference, Gotham Greens, MightyVine, Planted Chicago, Richard J. Daley College, USDA Beginning Farmers and Ranchers program, Windy City Harvest, Windy City Harvest Apprenticeship program, Windy City Harvest Corps, Windy City Harvest Entrepreneurship & Careers program, Windy City Harvest Youth Farm program. Bookmark the permalink.